Extreame Savings Item! 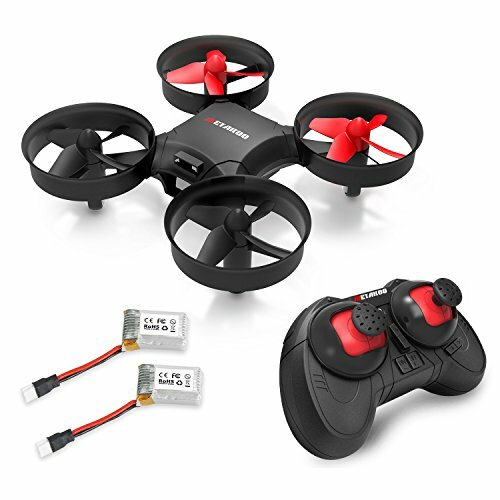 Save 47% on the Drone, Metakoo M1 Mini Drone 2.4GHz 6-Axis Double Battery Beginners Kids Drone 360°Full Protection, Altitude Hold, 3D Flips, Headless Mode, 3 Speed Modes Functions by METAKOO at Open Drone. MPN: M1. Hurry! Limited time offer. Offer valid only while supplies last. HOW TO TAKE OFF1. Power On: Switch on the controller and drone. Keep the controller and the drone head (in red) in the same direction2. Replacement propellers, batteries and accessories for Metakoo M1 are available on Amazon. Please feel free to contact us if you have any questions or problems. We are always here to help you. ◆ SAFE & DURABLE TOY: The protection rings around propellers not only protects the safety of your home or family, but also protects the drone for a longer life. If you have any questions about this product by METAKOO, contact us by completing and submitting the form below. If you are looking for a specif part number, please include it with your message.